Now that the "season to be merry" is over and we are spending more time indoors due to winter weather, many people have a keen interest in starting to "slim down!" There has been a lot of discussion, research, sales hype and promotion of tea (cha) for weight loss in the media, as Asian cha culture is gaining popularity in the Western world. As discussed in previous articles of this series, generally speaking, green and white teas have a "cooling" effect on the body, taste "bitter" and are considered to be "draining" in nature. Red teas (referred to as black teas in the West) have a "warming" effect, taste "sweet" and are "tonifying" in nature. This holds true for any variety of Camellia sinensis, regardless if it is a regular tea, oolong or pu-erh tea. All cha contains caffeine, which will boost the metabolism, thereby helping to burn calories. Thus, it is perfectly logical that all teas can have some benefit to cause weight loss. It is the degree of the chemical conversion process (roasting/oxidation/fermentation) used on any fresh-picked tea leaves that changes the leaf into a darker leaf, thus changing the beverage into a darker-colored, sweeter-tasting, tonifying beverage. The organs affected include the spleen, stomach, small and large intestine, lungs, liver, gallbladder, kidney, bladder and heart. The most important data needed to determine what type of cha is best for weight loss for individual patients is an understanding of each patient's metabolism. A proper differential diagnosis of Hot/Cold in the stomach/intestines is critical for weight loss, whereas a close look at the liver and heart (blood) is needed for reducing cholesterol levels. Clinically, it is my experience that most weight problems are rooted in a slow (cool) metabolism, especially for female patients. In this case, green tea consumption in large amounts will cause draining, purging of bowels/dampness for sure, but the underlying root factor (cold) will worsen, possibly to the point of causing diarrhea and cramping. 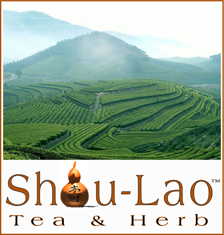 On the other hand, hong cha (red tea) would be the correct tea to aid the patient, in that not only would they get a metabolism boost, but the intestines also would work better, due to the warming and "nourishing" of the spleen, stomach and intestines, resulting in a consolidating effect of the stool. The historical story of the "Long Red Robe" red oolong tea variety, from the cold, damp Wuyi Mountains of the far north Fujian province, is a testimony to the medicinal effect of the right tea for the job! Keeping the above information in mind, it is a general rule that for most people, green teas are better to drink in the hot summer, and red teas are preferred during the cold winter.